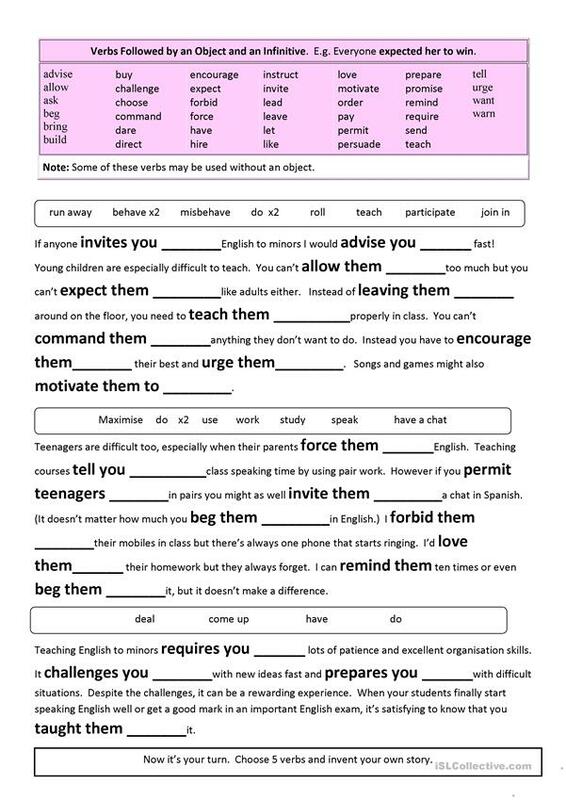 A worksheet to help students study verb patterns. This exercise focuses on verbs which are followed by an object and the infinitive. Students complete the gap fill then invent a story. 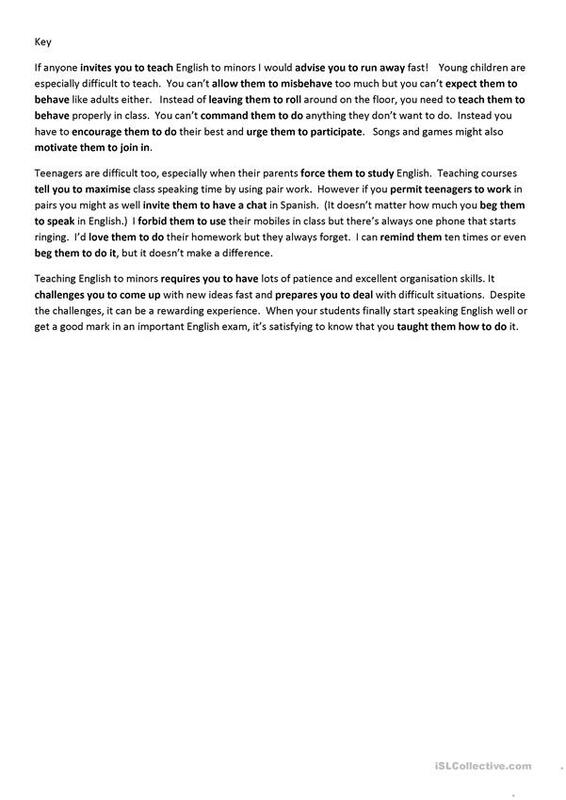 It's useful for Trinity GESE grade 9. The above printable, downloadable handout was created for business/professional students and adults at Upper-intermediate (B2), Advanced (C1) and Proficient (C2) level. It is a useful material for revising Gerunds and Infinitives in English, and is useful for working on your learners' Writing skills. There is a key provided with the exercises.